This is another smaller growing Grass tree from Western Australia. It grows in the cooler coastal areas in sandy soils. 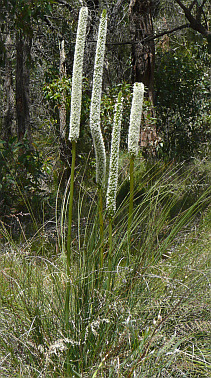 It is a low clumping Xanthorrhoea no obvious trunk although it has underground branching stem.